Do you have a Squidoo lens? Founded by Seth Godin, Squidoo is a popular free site that enables users to create single webpages (known as lenses) about their interests and recommendations. Users can even earn money for charity or themselves. The credibility-building potential rivals Quora, but unlike question-answering sites, Squidoo users are free to create content of their choosing. The SEO rankings are quite high – but it remains incumbent upon the site’s users to double-check the veracity of information provided. Challenge questions: What are the benefits to using sites like Quora and Squidoo for building credibility? What can they offer that your website or blog doesn’t already do? How could this help you sell more books? Squidoo is a site that allows YOU to become THE expert in your field. It’s a great place to easily demonstrate your expert knowledge and potentially get paid for it! Founded by Seth Godin, this popular free site enables users to create single webpages (known as lenses) about their interests and recommendations. Users can even earn money for charity or themselves. Squidoo users write articles, share videos, add photos, add RSSs feed from their blogs, add their Twitter feeds, favorite links, and more. Squidoo also makes it easy to earn money from eBay, Amazon, Google AdSense, and by referring other users to Squidoo. You may wonder what the point is of recreating all the same material you may already have on your blog or website. Here’s the thing: Squidoo has a Google page rank of 8/10, which is incredibly high, meaning that publishing on Squidoo will increase the likelihood of great search engine rankings, as well as providing strong backlinks to your website or blog. Additionally, this site allows you to go deeper on a single area of expertise than you might in a single blog post or even a page of your website. Links to the place(s) where your book is available for sale. Link to your book trailer. Links to your blog, website, and all your other social media platforms. A calendar that includes dates for your signings and events. Images from the same signings and events. Still not sure what to use for content? If you have a special report that you’re already giving away, can you rework it (so the copy is not exactly the same) and release it on Squidoo for added exposure? Here’s an example I wrote. Even if it’s a topic you’ve written about at length before, write original content and use updated graphics for the best SEO results. Begin generating traffic to your lens by visiting other Squidoo lenses related to your subject and posting comments that encourage those individuals to visit your lens. As with commenting on blogs on similar topics to yours, this will help you gain ranking and recognition on Squidoo and should be a regular part of your Squidoo success plan. You not only will enhance your traffic – but this is one of the social aspects of this social media site – and you can create lasting and valuable connections with others who may take an interest in helping you promote your book. Once you create a lens, update it periodically and then hang onto it. Each lens helps your overall Squidoo status, so you don’t ever want to delete your lens as a means of updating your overall profile. Be sure to republish your lens after every update. Squidoo has a built-in backup system that allows you to “export” your lens to your hard drive. Do this with some regularity, too, in case you ever accidentally delete your lens or have other problems with it. Join Squidoo groups in your area of interest to further your contacts and promote your lens. Besides on-the-nose matches for your topic, search for ancillary subjects that are allied. For instance, if you’re writing about residential plumbing, it might pay to check out lenses on lighting, electricians, roofing, construction, landscaping, etc. You can link your Squidoo lens to Twitter for increased exposure. Create a lensroll (akin to a blogroll) with your favorite lenses, whether they’re yours or created by others. Add a link to your lens to your email signature, or places you put your other social media links. Making a splash on Squidoo requires regular maintenance. I’ll admit I haven’t given it the attention it deserves, but that will be changing! Remember that a complete lens has far more than just text content. You also want to include graphics and images, write a full bio, add your Amazon and/or eBay links, create polls, and make it all extra useful by creating a table of contents. One of the biggest advantages of social media is the interconnectivity of all the platforms. I mentioned Tweeting your Squidoo updates earlier. Or you can create an infographic specifically for Squidoo that you repin on Pinterest and also link to your Facebook Fan Page. Here’s one person that had the right idea, but the wrong application. This is a Pinterest board titled “Why Authors Should Be on Squidoo.” Oops, though – just one measly little pin of a book that has nothing to do with this subject. One website contains a list of lenses about books and authors. Sign up here to have your lens listed. If you’ve done lots of work on your Squidoo lens(es) and are still seeing little results, you can check the health of your Squidoo lens here. Just plug in the link to your lens and you’ll receive an instant analysis about what’s working and where you can improve it. Yep, Squidoo is another potential tool in your book marketing arsenal. Nope – you won’t have time to do everything. But explore each social media option you come across to determine whether even a small presence might help enhance your reach, grow your platform, create a bigger following, and ultimately sell more books. In the meantime, come Squidoo with me! 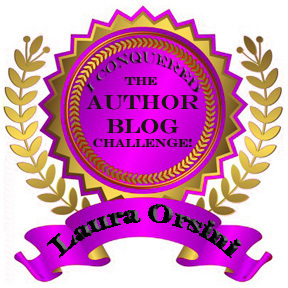 Winter Author Blog Challenge #10: The GoodReads Author Program means good book promoting! Are you on GoodReads? It seems a pretty obvious place for authors to hang out, yet I’m not sure authors are using it to quite the maximal benefit. If you are on GoodReads, how often do you visit/use the site? How often do you update your reading list? What other kinds of things do you post? Are you finding yourself using it the way social media was intended: to create a community? If you are NOT on GoodReads, have you made a deliberate choice to skip it? What other mechanisms do you utilize for meeting other readers/writers/authors? How else could you begin to create your very own community? When invited to join GoodReads a few years ago by a real-life friend, I did so somewhat half-heartedly. I didn’t even create a profile till a year or so ago! Then every once in a while, I’d get email notices that someone else I knew had joined. What’s this joining stuff? I thought, still doing nothing about it. A lifelong reader, I badgered my dad into teaching me to read at 4 because I wanted to be able to read the Sunday comics to myself. I zipped through towers of library books every summer, earning badges and ribbons and prizes in their annual summer reading programs. Then I grew up and was able to start buying books, and my library has never stopped growing. Its growth has slowed somewhat in the last couple years since I’ve become a Kindle owner, but if my husband and I didn’t periodically purge our books, we’d be sleeping standing up between the stacks. While I will occasionally recommend a book (see my newsletter for last month’s recommendation), even with my bibliophilic ways, I’ve never felt any pressing need to share the titles in my library with large masses of people – which seemed to be the entire purpose of GoodReads. Until I learned about the GoodReads Author Program. If you’re an author whose response to the question “Are you using GoodReads to promote your books?” is “Not really,” you’re missing a HUGE opportunity. More than any other site, this is THE pace you should be promoting your books! Did you realize that GoodReads has a built-in mechanism for you to do just that via their Author Program? Better still, it’s F-R-E-E! About 50,000 authors are currently listed on the GoodReads Author Program. The GoodReads Author Program is designed for authors of published books or those in the process of publishing a book. The system works best if your work is already listed on a bookseller’s website, like Amazon.com or BN.com, but GoodReads will accept any author who has published a book, including foreign (non-U.S.) and self-published authors. Sign in if you are already a GoodReads member. If not, sign up for an account. It’s a good idea to join under your published name so your author profile name will match your book(s). In the search window, search for your published author name. The author name is listed below the title of your book in the search results. If your book is self-published and is not yet in the Goodreads database, you can add it manually. Clicking on your name takes you to your basic author profile page. This page has your name at the top and Author Profile to the right of your name. This page is part of the GoodReads author and books database, completely separate from your member profile page (the one that lists your bookshelves and friends). Scroll to the bottom of the page and click Is this you? to initiate a request to join the GoodReads Author Program. Then prepare to wait, as it generally takes a few daysyou’re your request to be processed. You will receive email confirmation your member account is successfully upgraded to an author account. 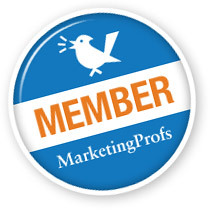 Joining the program merges your author page with your member page. Enter your full published name, email address, and a password. Check your email and verify your address by clicking the link in message they send you. Share your list of favorite books and recent reads with your fans. Use GoodReads as your blog platform and generate a band of followers. Publicize upcoming events like such book signings and speaking engagements. Share book excerpts and other pieces of your writing. Post a quiz about your book or a related topic. Add your video book trailer or other promotional or book-related videos. Join one of the thousands of groups – but avoid too much self-promotion. Add the Goodreads Author widget to your blog or website to highlight reviews of your books. Advertise your book to the Goodreads community of 14 million readers. Generate pre-launch buzz with a book giveaway. Lead a Q&A discussion for readers on your profile or participate in groups and discussion forums for your books. Click your name in the upper right corner to go to your author profile. Under your picture, click Add/Edit Blog. On the right side, find External Blog Feed URL. Click Change if the URL field isn’t showing. Right-click in the field space. Left-click Paste from the dropdown menu. Decide whether you want to Show Full Post and check or uncheck the box. Be sure your profile is complete and accurate. Make sure that your book(s) has the correct ISBN/ASIN, publication date, and cover image. Be sure to include page count. Some of the more die-hard Goodreads members enjoy announcing their progress as they read with comments like, “I’m on page 289 of 624.” You want this kind of commentary, as it can be something this small that translates to commentary and discussion about your book. GoodRead suggests offering multiple giveaways, each open for about a month, as a means of pre-release promotion. Ideally, you’ll start about three months before your launch date. Then run a second giveaway a few weeks before your book hits the shelves and web. GoodReads places no limits on the number of giveaways you can run. Encourage your fans and followers on other social media sites to review your book on GoodReads. 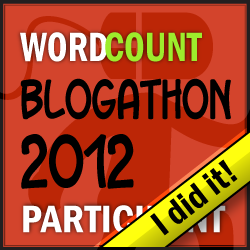 Also encourage participants with a GoodReads badge on your blog and website. Because GoodReads reviews are often exported to other sites like Powells.com, USAToday.com, etc., a GoodReads review can have much further reach than a review on other sites. Looks like I’ve got some work ahead of me to catch up on this whole GoodReads opportunity! In the meantime, find me on GoodReads. For lack of a better term, I think of FourSquare as a location revelation platform. People who use FourSquare and sites like it “check in” at various locations with a mobile device and are able to find out (track?) where their friends are. The location is based on GPS hardware in the mobile device or a network location provided by the app itself. Many members use foursquare and its competitors for the discounts. Or perhaps you want people to know which bookstore you’re in for your signing or event – but use your common sense. If you live alone, don’t announce you’re leaving the bar to go home at 2 a.m. I recall meeting a guy nearly a half-dozen years ago who had an idea for an application like FourSquare. His thought was that you could simply send out a message that said, “Hey, I’m heading to the Community Art Cinema. Anyone want to catch a matinee of A Clockwork Orange?” Then those online at the time and interested could find you and hook up. I didn’t quite get it then (although Facebook and Twitter were in their infancy, no one was using them via their phones of for messaging like this), and I don’t really get it now. I’ve never been what you’d call a privacy freak. If you want to know about me, just Google my name and quite a bit is revealed. I also know the risks of putting anything anywhere on the Internet. If you don’t want people to find you – or steal your content – don’t be online. Ever. For any reason. Not condoning plagiarism, fraud, or similar malfeasance – just aware that it happens, and exposure to such risk is the cost of participating in the World Wide Web. All that said, I have no desire for anyone except my husband to know where I am 24/7 – and even he doesn’t know every detail of my days because our relationship is built on trust so we don’t require each other to wear ankle bracelets. Common sense also tells me that it’s probably best not to announce to the world where you are at every given moment of the day. The only benefit I see from doing so is to earn points or savings on certain items, but when it comes down to it, is any savings really worth exposing yourself so thoroughly? SANDI TUTTLE. There is a saying: “Just because you’re paranoid doesn’t mean they aren’t out to get you.” I don’t think I am paranoid, but I really dislike the thought that some unknown someone somewhere in Cyberspace can figure out that I’m getting a manicure. Perhaps this is just my age showing. I see all the ads on TV about how cool it is to ‘connect’ and how easy it is to use your smart phone to find the perfect fusion restaurant on a Thursday night. Except that I think my husband would rather starve than eat fusion, we haven’t eaten out on a Thursday night in 20 years, and I can’t imagine anyone being so interested in our location that they need to use some Eye in the Sky to find us. I remember some early applications of cable TV that didn’t pan out because they were ahead of their time. Eventually, the practical application for the technology caught up with what they had, and a new fun thing was packaged and sold to the masses. It is possible that FourSquare is in this position. READ MORE HERE. JO MICHALES. I find FourSquare to look a lot like my Google maps app. While I can see the usefulness of it if appearing in public, I’m a bit of a private person. I’m not really keen on everyone being able to find me anywhere I’m hanging out. Same reason I use a pen name. Not awesome to have folks you don’t know loitering on your lawn or sending you angry letters because you had the audacity to write something they didn’t agree with. Now, if I wanted to know where to find something and didn’t have a different maps app on my device, I’d consider using FourSquare for that function. But to have a whole plethora of people knowing where I am at any given moment of the day? No, thank you. I’ll pass. READ MORE HERE. Would love to hear your take on FourSquare in the comments section below. Do you see a practical use for authors – or is it just better left alone? Sorry – you won’t be finding me on FourSquare. But look just about everywhere else! Credibility means the quality of being logically or apparently valid. It is the thing that makes people respect you as an expert, the thing that gives you an edge because people seek you out for your knowledge. And with credibility comes reputation, as well as authenticity, believability, sincerity, legitimacy, plausibility, visibility, trust, and word of mouth. There’s almost no better way to create credibility than by authoring a book. Answer sites like Quora are a wonderful place to demonstrate expertise in the subject matter of your book, creating followers, and perhaps eventually readers. Even as a novelist, you have an area of expertise. Perhaps it’s simply “publishing your novel” – or perhaps you did an enormous amount of research on British clothing and customs of the 1940s for your World War II romance. Guess what – you can use that expert knowledge to make a name for yourself on a platform like Quora! And is it impossible to think you might parlay that into guest lecturing for a university level history class? The only limits on your marketing and platform-building are your abilities to generate great ideas, leverage your contacts, and take action. #1 — Generate a perception of trust. #2 — Create a showcase for your knowledge. #3 — With credibility comes implied quality. #4 — Increase your exposure. #5 — Improve your audience’s recall and recognition. #6 — Create heightened demand. #7 — Inspire brighter visibility. Active involvement on Quora can help you achieve all of these. That said, I don’t use it nearly enough. But this Challenge is motivating me to add to my Marketing To-Do List, too! As with Google+, I’ll offer an update on this in 6 weeks. In the meantime, let’s Quora! Winter Author Blog Challenge #7: Authors, jump into Google+ while you can still create a BIG splash! Our regular readers who are keeping careful track may have noticed that we just leapfrogged over Day 6. Not to be too snarky, but it’s my blog and I retain the right to do so. Actually, Day 6 is on YouTube, and I want to do the post justice, which is going to take a little longer than normal. I will get back to it. For those reading a couple days behind, we may be all caught up by the time you’re reading this! With roughly 135 million active users, Google+ is still considered new – some even say a ghost town. The good news is that becoming a regular user now, while it’s still in its infancy can, as marketing pro Linda Sherman puts it, “give you access to influencers who might not notice you elsewhere. People who are ignoring it are falling behind,” she said in a recent Forbes interview with Dori Clark. Right now, Google+ users are predominantly male, so if your books have a large male readership, you may want to focus more attention there. You may have begun to see little +1 icons showing up around the web. These are comparable to Facebook’s ubiquitous “Like” buttons. Google+ Communities enables you to build new connections with active Google+ users. And unlike Facebook, which presently does not allow Brand Pages to join groups, Google+ allows Brand Pages to create and join Communities. Google+ Local Pages gives you the opportunity to indicate your business on a local map that links to your account. It does require that you have a local business with a legitimate (i.e., findable via search engine or directory assistance). If you have a GooglePlace account but not a Google+ account (or vice-versa), be sure to use the same Google account as the first one when setting up the second. Google Hangouts gives Google+ members the opportunity to hold video chats with up to nine other participants. This is unlike anything offered by Facebook or Twitter. NOTE: You must have a webcam and a mic to use this feature. Host or join a writing group with people beyond your local community. Hold virtual readings with your biggest fans. If you’re open to the idea, you might even read work in progress, and let the fans give you feedback. Interview other author and invite a few of your followers to listen in. Take a break to connect with real people with human voices. Inspire other writers by holding a virtual writing workshop. Hold brainstorming or collaborative writing sessions. Make sure your profile includes a photo with a recognizable head shot. Check that your byline appears on each page of your content (for example, “by Marcie Brock”). Confirm that your byline matches the name on your Google+ profile. Improve your SEO. The Google search engine indexes everything posted publicly on Google+ gets almost instantly, making the “+1” feature as important as a “Like,” if not more so. The more active you are on Google+, the more likely your blog or website will be to receive +1s. Improve your odds by adding a +1 button to every page on your blog/site. Use Google+ Sparks (essentially a reader for syndicated content) to generate ideas for blogs, articles, media releases, special reports, and your next book! Add a particular keyword and you will receive content related to that topic delivered direct to your inbox. Another great feature of Google+ is that it allows for long conversations during which you can build relationships and readership. As with Twitter and LinkedIn, use Google+ to connect with fellow authors, bloggers and readers. If you want to see what other authors and writers – some of them very connected and/or impressive, are up to, here’s a List of Recommended Authors and Writers on Google+. I’ve got a lot of work to do to get my Google+ profile up to speed. I’ll check back with you in 6 weeks to let you know my progress! In the meantime, come Circle me on Google+! As with everything we post on the Marcie Brock blog, these are our opinions (and suggestions) only. And it is our opinion that of all the current social media platforms, Pinterest is one of the most fun. If you haven’t jumped in yet, we caution: B-E C-A-R-E-F-U-L!!! It can be a monstrous time-waster, but you will probably have tons of fun while you’re wasting it. I have 27 boards – and as I looked them over again for this post, I was so pleased by all of them that it’s almost hard to say which is my favorite. Of course, Ireland wins because … well, it’s Ireland! Elegant Christmas comes in a close second. After that, I like all of them. I love Client Books because it’s a chance to both promote my clients’ books and my company’s range of skill and offerings. In the image below, the only cover I didn’t design was Honor O’Flynn. I post on Marcie and ABC sporadically, doing a bunch at one time. Since TRAVEL is one of the most popular categories on Pinterst, I created the Writers’ Retreats and Author Birthplaces boards. Inspirations by Laura is a grouping of inspirational images I created and posted to Facebook over the last couple years. I worked so hard on the Social Media Icons for my newsletter that I decided to post on Pinterest because I’d love to come across them on someone else’s site someday. Moon Glow seems to be getting the most likes and repins. And Open Sesame is a collection of mesmerizing doorways and passageways. Some of these are just for enjoyment, but a good number are “work related.” The thing is, your Pinning needn’t be a time-waster. If used properly, Pinterest can be a phenomenal tool for marketing your books. Here are nine ways authors can use Pinterest to grow their platforms and sell more books. 1. Literally sell books. Your cover image becomes vital here (for those of you skimping on a cover designer or having your next-door neighbor’s kid do it), because Pinterest is all about the images! In the edit window, if you include a price, Pinterest automatically inserts a tab with the price in the upper left-hand corner of your image. The illustration above is purely for explanatory purposes. In this case, I’ve linked the pin to my Amazon store, so a book by Thomas Aquinas is for sale there, but that’s not entirely clear from the image. 3. Offer your readers an insider’s look at your process: your writing space, the view from your office window, your dog asleep at your feet, your favorite tea mug, the coffee shop where you go to edit, images of members of your critique group. 4. Imagine your book’s success. Which cities would you like to visit for your book tour? At which writers’ retreat would you love to spend the summer or winter? What kind of writing studio or library would you build? 5. Make friends and influence people by promoting your friends’ and favorite authors’ books. 6. Pin special offers, discounts, and coupons. 7. Generate after-party enthusiasm by sharing the pictures of your signings and readings. 8. Share your own inspirations. Pin images, quotes, and people that inspire you. 9. Hold a contest: PART 1: Offer a giveaway for fans who buy your book and send you a picture of them reading it in a creative ay or place. PART 2: Create a Board for all the images you receive. PART 3: Have your Pinterest followers vote on the best picture. Ask your followers to share their favorites on Twitter and Facebook. Large, captivating images work best. Keep this in mind when you’re designing your book cover! Add the “Pin It” widget to your website and/or blog. Give your boards short, catchy names. Images that are longer than they are wide get repinned most often. Think infographics! Remember to ENGAGE. Don’t be a one-sided Pinner. If you like someone’s images, comment on them – start conversations with people. Get creative like New Leaf Literary Agency, where each literary agent has his/her own board and each book has its own board. Thanks to Katrina Lantz, Novelist for sharing this! Lastly, don’t be like this guy! He has the vanity name Pinterest.com/author – and yet he has NO PINS!!! In the meantime, come Pin with us! LinkedIn is a business-oriented social networking site. Launched in May 2003, it has undergone many metamorphoses – the most recent of which involved retiring two of its most popular features, LinkedIn Events and LinkedIn Answers. Are you using LinkedIn to promote yourself as an author? Does your professional profile include or feature your writing? What is the best connection you’ve made through your involvement on LinkedIn? Who would you still like to connect with? Might LinkedIn be a good vehicle for making such a connection? What is your biggest question, frustration, or suggestion regarding LinkedIn? IF YOU’RE NOT USING LinkedIn, why not? Here’s a good overview of LinkedIn’s features. After perusing it, how MIGHT you use LinkedIn to help build your author profile? Is it something you’re considering? Be sure to give us the link to your LinkedIn profile. If participants in the Winter Author Blog Challenge are gnashing their teeth at all this social media mumbo-jumbo, it may please them to know that their fair host is also struggling a bit – particularly since today’s topic, LinkedIn, is perhaps my most underutilized social media platform. Change careers to become a writer? LinkedIn is a great way to reconnect with people you used to know way back when. Yes, Facebook can do that, too – but I’m talking less about your high school chums than a colleague, manager, or other professional you used to know who might be a great connection today. If you fill out your profile completely, LinkedIn offers excellent SEO support. Depending on your industry/genre and your other SEO efforts, your LinkedIn profile could be one of the first two or three to come up when someone searches your name or other pertinent information about you. With no fewer than 325 agents and editors on LinkedIn, it’s a great tool for getting connected to publishing industry professionals. You’re not the only expert on LinkedIn, right? So why not utilize the mountain of expertise there for help/research/interviews for your book – even fiction! It’s even possible to create connection with the superstars in your industry. Once you’ve done so – and I mean more than a passing, “Hi, I love your book” – you may be able to approach them for blurbs or testimonials for your book. Looking for some publicity for your forthcoming title? Use LinkedIn to rub cybershoulders with TV, radio, and print media producers and editors. LinkedIn has an app called “Amazon Reader” that allows you to give descriptions of the books you’re reading. Why not spend those 5,000 characters describing YOUR book? Then ask your LinkedIn connections that you know personally to include your book on their Amazon Reader pages. Are you looking to do more speaking? There are a number of speaker groups you can join which feature regular announcements about speaking opportunities. It seems that many of these are unpaid, but ask if you can sell your book at the back of the room! One author was unable to find contact info for the director of a conference at which he wanted to speak on the conference website. So he headed to LinkedIn, connected with the director personally, and was invited to join the conference faculty! As with all social media, success at LinkedIn requires time and commitment. The energy on this platform is definitely more professional than Facebook and it offers a more substantial representation than Twitter. If you haven’t found either of those to your liking, perhaps LinkedIn is more your speed. You can find my LinkedIn profile here. And while you’re viewing, why not stop by and endorse me for Blogging, Social Media Marketing, and Marketing?